Together with Sarah Milo and Wilbert van de Kamp, Wunderwald initiated Appelkruimel & Fris. Appelkruimel & Fris is a durable clothing brand for everyone (including your mother). The brand is a reaction to the consumer clothing market’s misuse of materials and the unrealistic beauty standards that the fashion world promotes. Appelkruimel & Fris is #justforrealpeople and is asking us what our own beauty ideal is. For the design of the brand, we borrowed many style elements from other fashion brands, creating a general fashion style language. We copied the style so well, that with the launch of Appelkruimel & Fris, many people thought the brand was real. The launch of Appelkruimel & Fris received a lot of attention in the press, including a performance at RTL Boulevard where the brand was discussed by famous Dutch fashion journalist Fiona Hering. 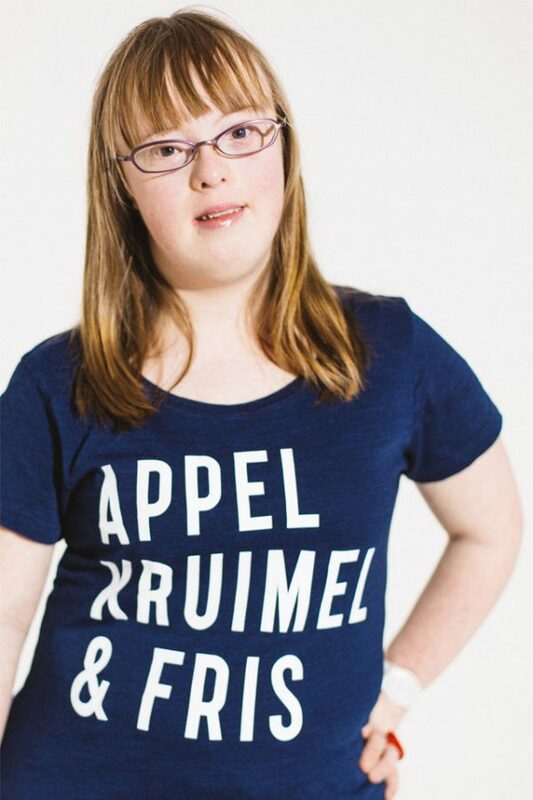 With Appelkruimel & Fris, we started a campaign to raise money for Iambe Bakery, which is an initiative that gives people with Down syndrome an education to become a baker. The Iambe bakers are also featured on the campaign images of Appelkruimel & Fris. The Appelkruimel & Fris identity design story unfolds with intriguing copy, clothing, several short videos, and a website. The initial campaign images were shot by Iris Duvekot. A second campaign was photographed by Nichon Glerum. For all photographs, Wunderwald is responsible for the art direction. As models, we always have and always will use #realpeople. Appelkruimel&Fris from Appelkruimel&Fris on Vimeo.